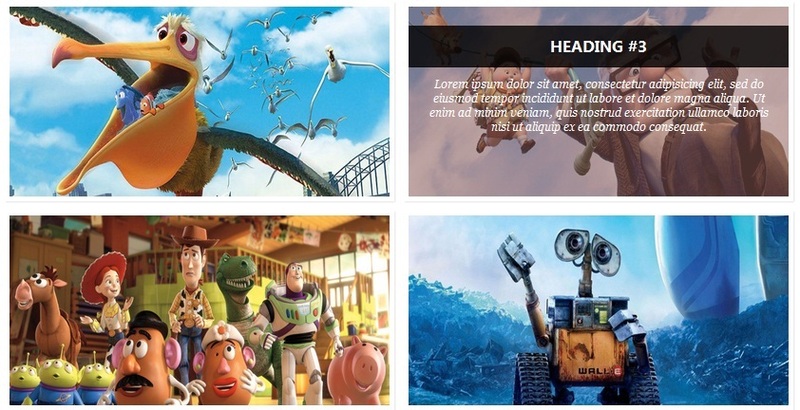 A lightweight filterable image grid module with support of light-box gallery. 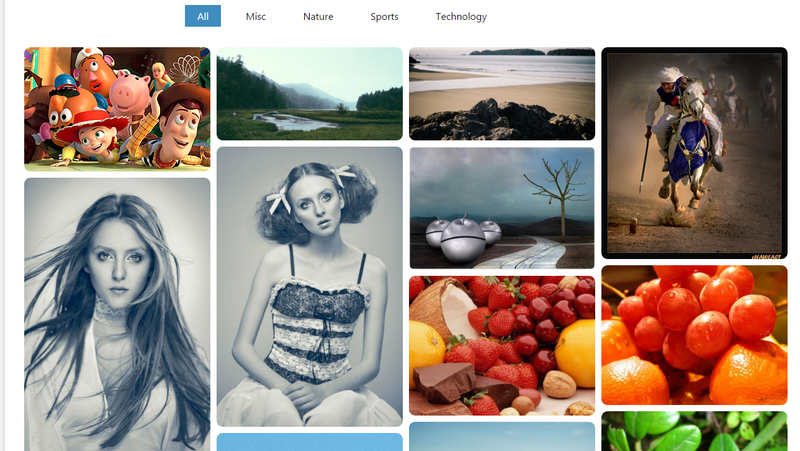 This is a responsive module, the grid and gallery will adjust according to the screen size. Clicking any image in the grid will show the full version of image in a light-box gallery with thumbnails and navigation support. You can use this module to showcase your project and portfolio items. 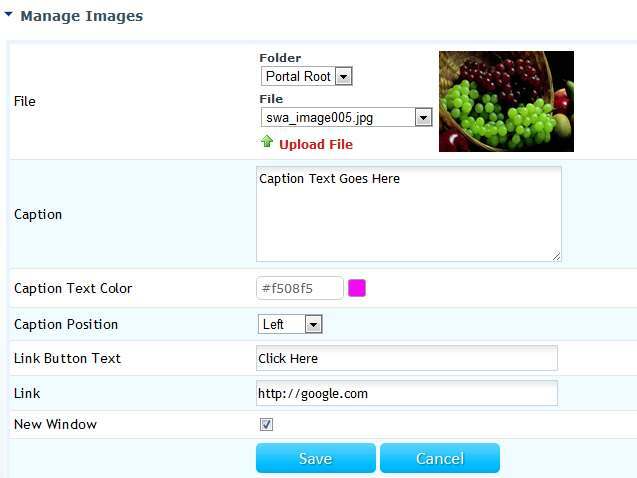 This blog post will describe the simple steps on how to use Responsive Filterable Image Gallery module in DotNetNuke portals. If you or your client has worked in the field for a while, there is a pretty good chance that you have a rather extensive portfolio. To make it a little easier to navigate, you will probably be tempted to break them into different categories. This module will help you to show the filterable portfolio items in an interactive and stylish way. 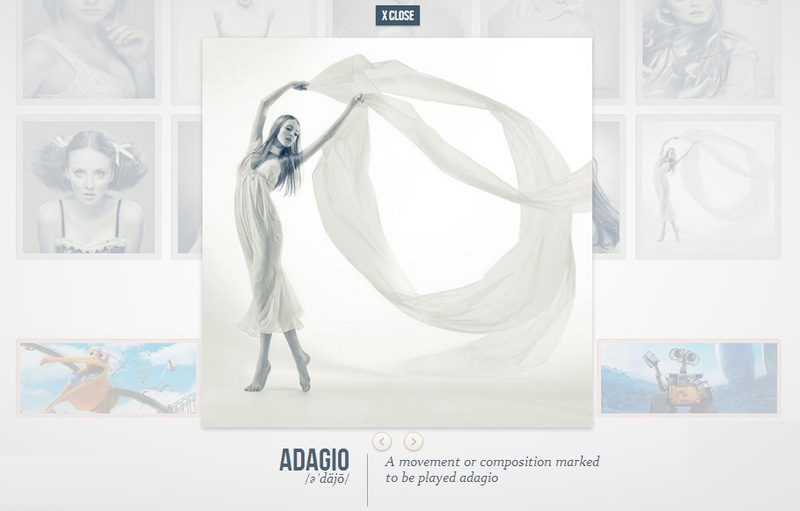 This module is also useful for photographers to show their work in style. Once the module is installed, it will be available in the Module drop-down. 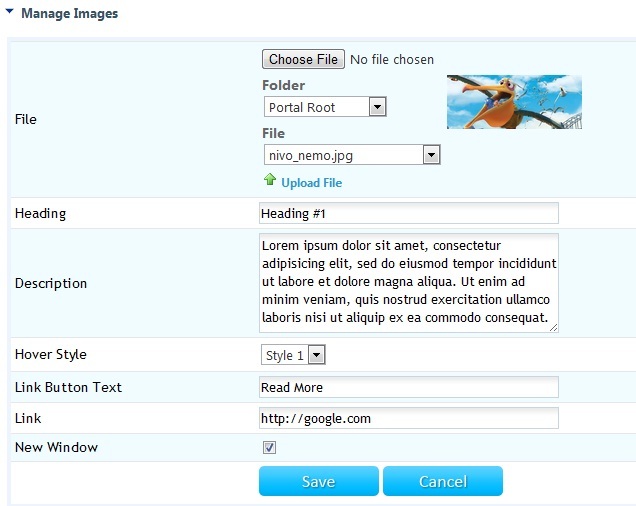 You can add this module (DZ_ResponsiveFilterableImageGallery) to your desired pane. 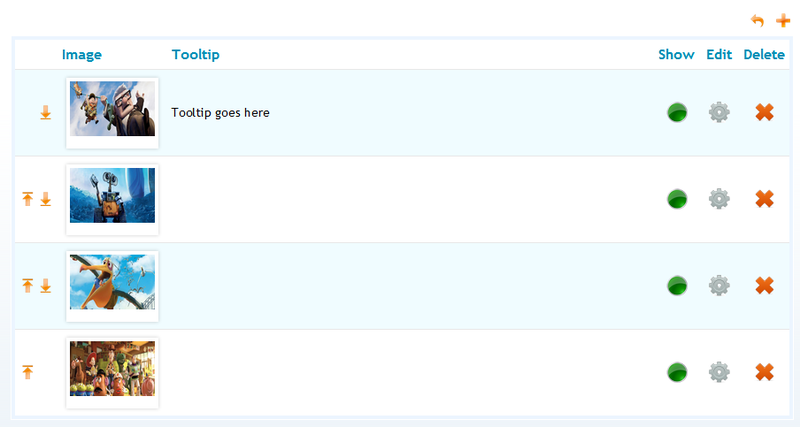 After adding the module, you can go to module settings page and scroll to bottom section “Image Gallery Settings”. This section contains settings specific to this module. See following screen for setting details. 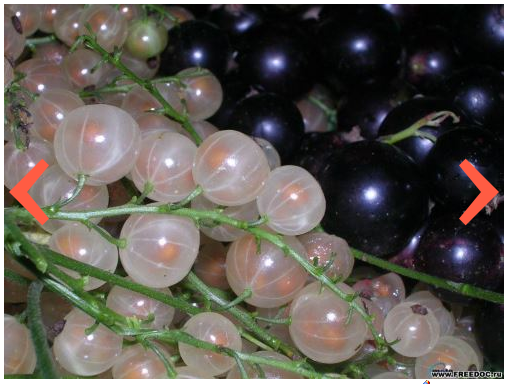 Image Width Specify the width for images. Images can be of different dimension but width would be same. The aspect ratio would be maintained. Image Border Radius If you want to display radius border, you can specify thickness of the radius, specifying 0px will not display any radius. No Filter on Gallery Select this option, if you want to always show all images in the gallery view. Not selecting this option will only show filtered images in the gallery view. You are all set – now you can go back to the page where you added the module and now you can see the Responsive Filterable Image Gallery in action. A lightweight image grid module with support of modal light-box window which uses only CSS3 for silky-smooth animations and transitions. Image grid is loaded using stylish flip transition. Clicking any image in the grid will show the full version of image in a light-box gallery with thumbnails and navigation support. You can use this module to showcase your large set of images. This blog post will describe the simple steps on how to use Image Grid with Stylish Light-box Gallery module in DotNetNuke portals. Once the module is installed, it will be available in the Module drop-down. You can add this module (DZ_ImageGridWithLightBox) to your desired pane. 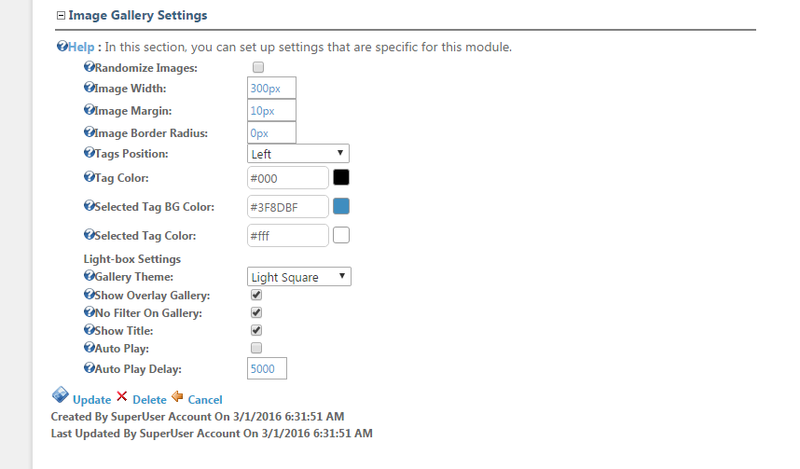 After adding the module, you can go to module settings page and scroll to bottom section “Image Grid with Light-Box Settings”. This section contains settings specific to this module. See following screen for setting details. 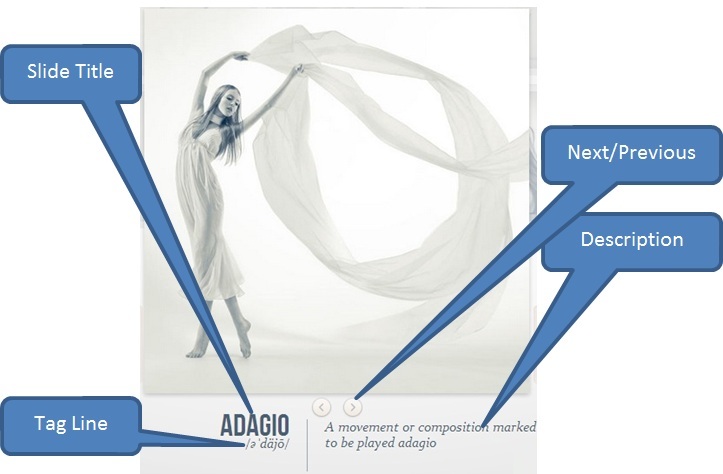 You are all set – now you can go back to the page where you added the module and now you can see the Image Grid with Stylish Light-box Gallery in action. This is a neat light-box effect using only CSS. The idea is to have some thumbnails that are clickable, and once clicked, the respective large image is shown. Using CSS transitions and animations, we can make the large image appear in a fancy way. This blog post will describe the simple steps on how to use Image Gallery with CSS3 Light-box module in DotNetNuke portals. Once the module is installed, it will be available in the Module drop-down. You can add this module (DZ_GalleryWithCSS3Lightbox) to your desired pane. 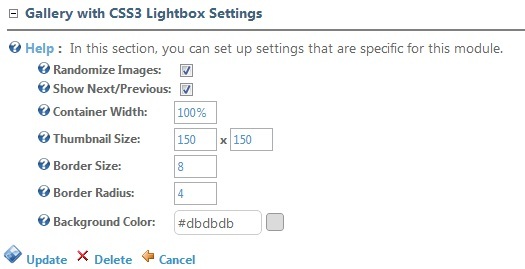 After adding the module, you can go to module settings page and scroll to bottom section “Gallery with CSS3 Lightbox Settings”. This section contains settings specific to this module. See following screen for setting details. Show Next/Previous Select to show next and previous buttons in the light-box view. Background Color Choose the background color for thumbnail border – the same color will be used in the light-box view with opacity. You are all set – now you can go back to the page where you added the module and now you can see the Image Gallery with CSS3 Light-box in action. Stylish Image Wall module can show images, logos or sponsors in an interactive grid. 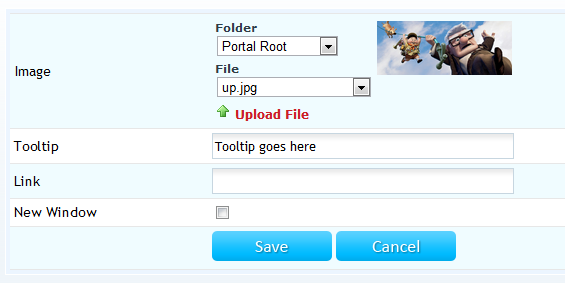 You can upload images along with the heading, description and the link URL. Instead of showing images, logos or sponsors in a simple grid, this module will show them in an interactive grid. Once mouse is moved over an image in the grid, image view will be flipped using different styles and description view will be shown. This module relies on CSS3 – full transition & rotation effects can only be seen on modern browsers with CSS 3 support. This blog post will describe the simple steps on how to use Stylish Image Wall module in DotNetNuke portals. Once the module is installed, it will be available in the Module drop-down. You can add this module (DZ_StylishImageWall) to your desired pane. 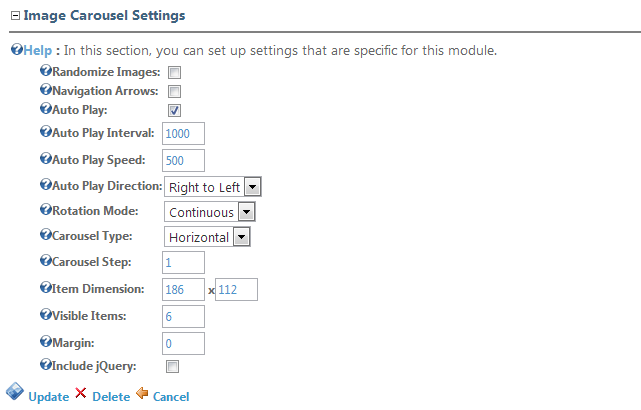 After adding the module, you can go to module settings page and scroll to bottom section “Stylish Image Wall Settings”. 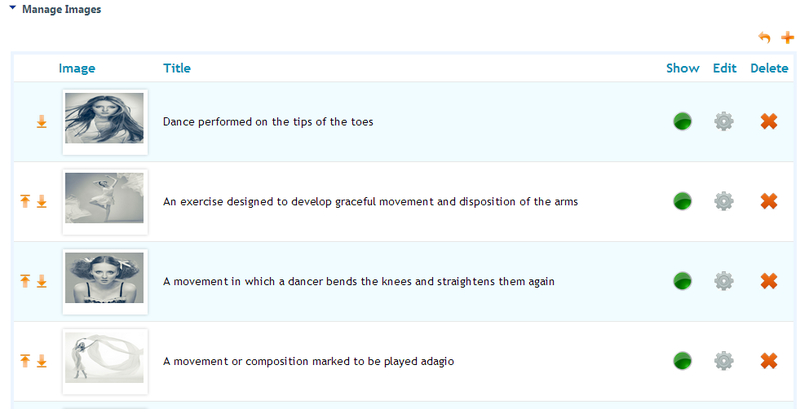 This section contains settings specific to this module. See following screen for setting details. 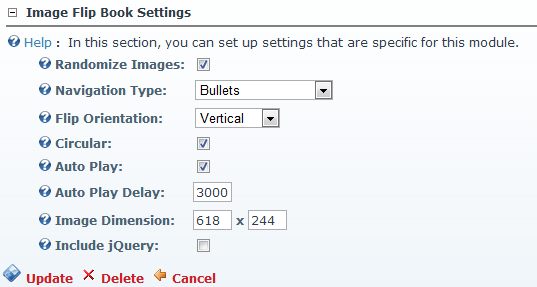 Randomize Items Select this check-box, if you want a random image order on each page load. Now you are ready to add images to the slider. You can click the “Manage Items (Pencil Icon)” link on the newly added module. This will show you image listing, you can upload images. 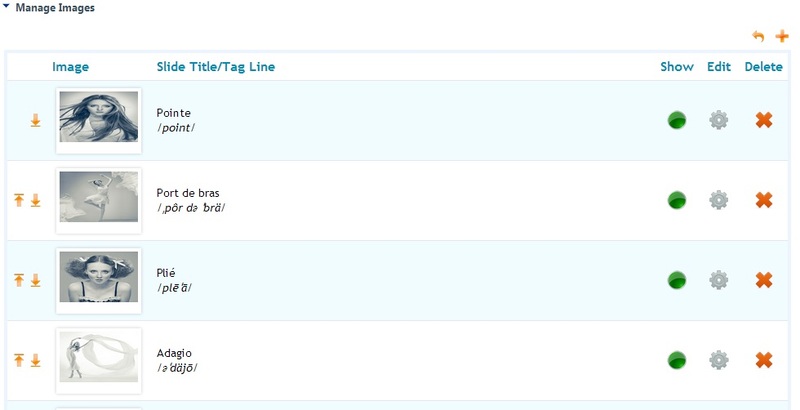 You can specify title, background color for hover effect and the URL. See following screens for reference. You are all set – now you can go back to the page where you added the module and now you can see the Stylish Image Wall in action. 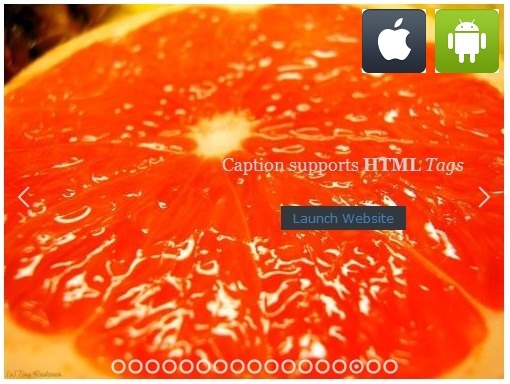 Nice looking image slider module by DnnZone. It is not just another slider but a slider with support for touch devices. This slider recognizes the Swipe Touch event – so this can be use on modern touch devices including: iPhone, iPad and Android Devices. Simple horizontal slide transition is supported with easing effects. This blog post will describe the simple steps on how to use Swipe to Slide module in DotNetNuke portals. Once the module is installed, it will be available in the Module drop-down. 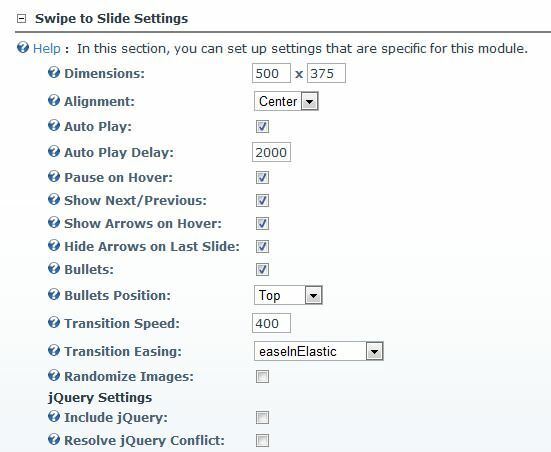 You can add this module (DZ_SwipeToSlide) to your desired pane. After adding the module, you can go to module settings page and scroll to bottom section “Swipe to Slide Settings”. This section contains settings specific to this module. See following screen for setting details. You are all set – now you can go back to the page where you added the module and now you can see the Swipe to Slide in action.